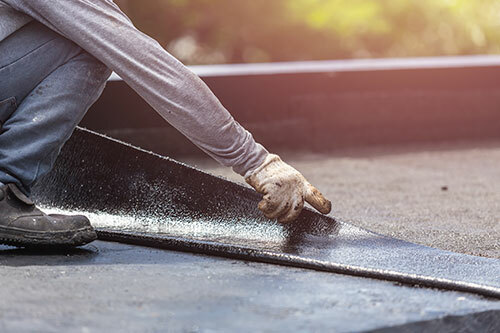 Constant exposure to the elements – UV rays, heavy rainfall, hail and wind – will eventually take a toll on your commercial roof. To maximize and extend its life expectancy, New View Roofing provides tailored roof maintenance programs to keep it at peak performance throughout the year. An initial inspection. To begin, one of our highly trained contractors will assess your roof and prepare a written analysis of any necessary repairs. We’ll assist you with the roof repair process to get your commercial roof in top condition. Annual observations. After your roof is repaired and meets the necessary program requirements, we’ll schedule annual observations. We’ll survey the total roofing system to ensure everything is in working order. Maintenance checklist. The professionals at New View will create a tailored checklist for your commercial or industrial roof’s specific maintenance needs. If your roof needs major repairs or a replacement, we’ll provide you with the solution we recommend. Warranties. Warranties protect the investment of your roof for decades to come. We offer a variety of warranties from the top manufacturers in the industry. Affordability. Our maintenance program is affordable and saves you money on roofing costs in the long run. New View Roofing is here to contribute to the success of your business by giving you the peace of mind that your roof is functioning efficiently and providing the protection it should. To learn more about our comprehensive roof maintenance program, call (469) 232-7220 or fill out our online contact form to schedule your inspection. We also offer commercial roof repair and replacement.